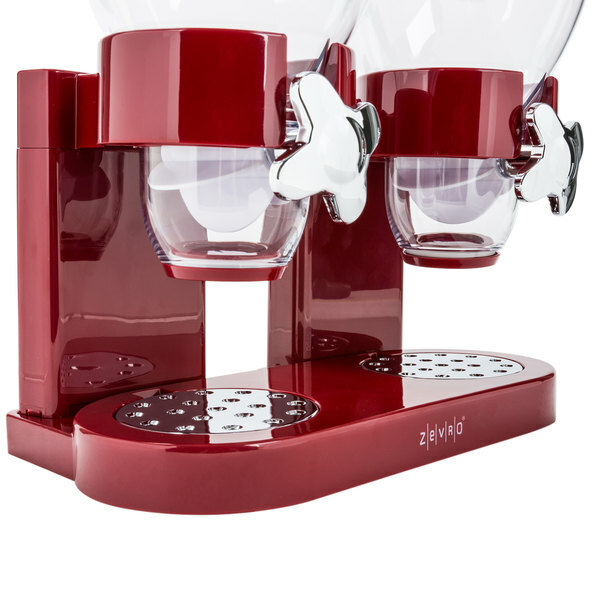 Let the attractive, modern styling of this Zevro KCH-06125 red dry food dispenser captivate customers at your hotel breakfast bar, market, or coffee shop! 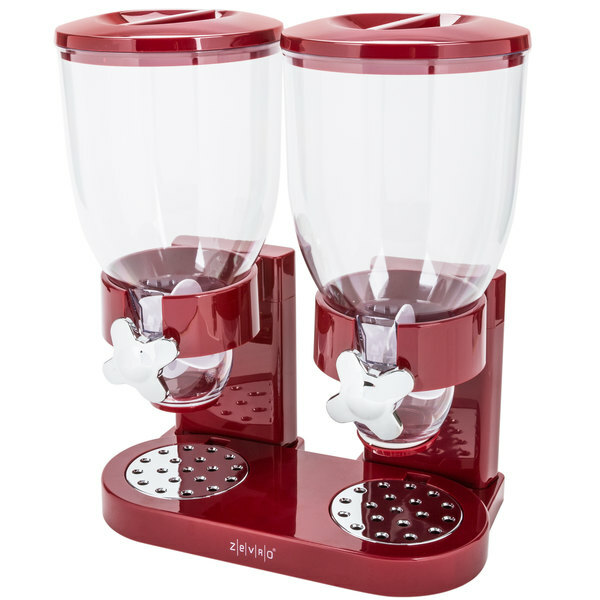 This double canister dry food dispenser is perfect for serving and merchandising a variety of products such as cereal, granola, candy, trail mix, coffee beans, or pasta. 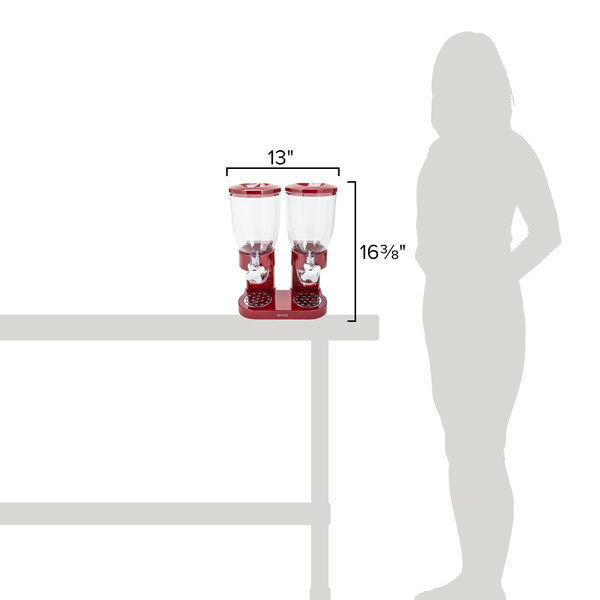 With its clear canisters, your customers will be able to easily identify what the dispenser contains. This attractive presentation option is sure to catch guests' eyes and draw them in to your specialty granola or complimentary candy. 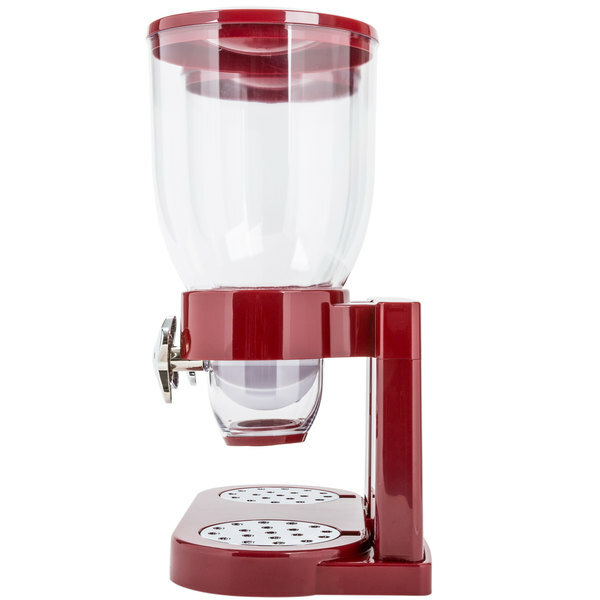 This dry food dispenser also helps reduce waste and save money by controlling portion size whether you choose to use it at a breakfast bar or in the back of the house. Each twist of the taps releases a measured 1 oz. of product. Its dual 4 liter clear plastic canisters are specially designed to keep your dry foods fresh for up to 45 days. 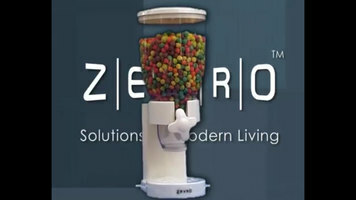 The Zevro canister dry food dispencer is great for cereal at home or work. Children love fixing there own breakfast with this. Great purchase. Well Made! 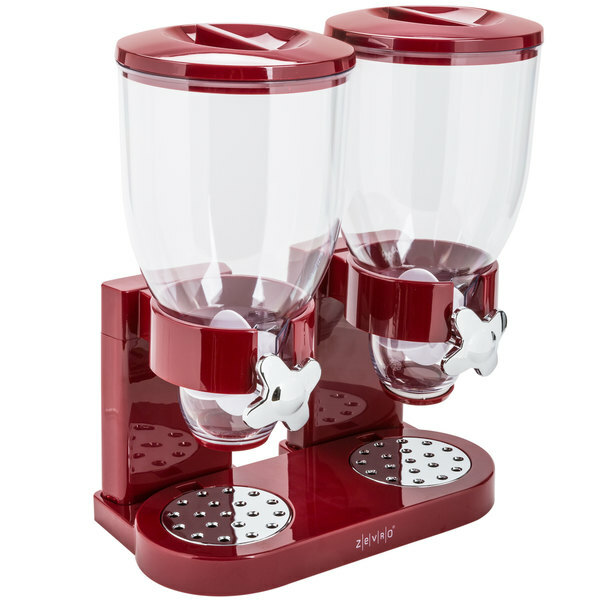 The Zevro GAT200 Double Canister Dry Food Dispenser is great. We just love the fact you can have two diffrent kinds of ceral open at the same time .It stays fresh. Easy to put together.Price can't be beat. These worked AMAZING!! We actually didnt use this in the store at all we tried them out at home for our dog food and worked great. Excellent dispenser, very convenient for storing and dispensing dry goods like rice. We infrequently use arborio rice, and this conveniently portions the product when we need it and easily stores it when we don't. Overall I really think this works well for us. It is a little smaller than I had thought, not that that is a problem. The only down side is that its pretty light weight so if you serving granola it can be a little top heavy. I love this product! It's a good value for the price and it looks really great as well as a smart way to store cereal. The only issue I have is I lost one of the rubber "caps" that attach at the bottom of the unit to keep cereal dry and am at a lose without it! If anyone can offer any suggestions as to wher I can buy one, PLEASE let me know. 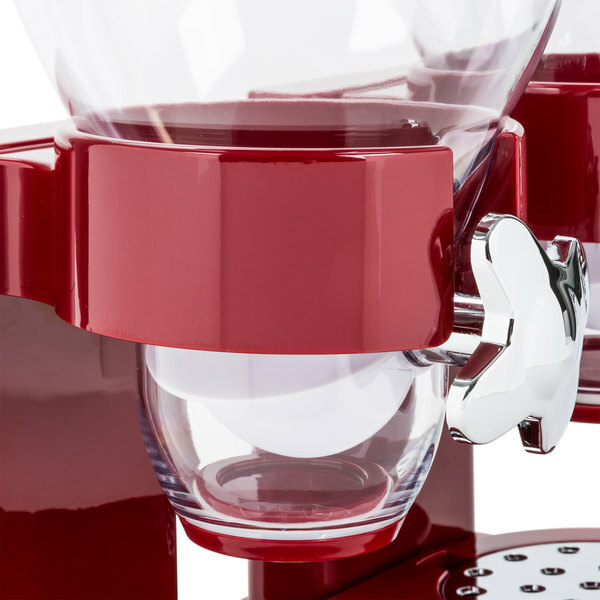 At first, we wouldn’t decide on which color to choose from or how many dispensers we wanted. So glad we ended up with the double dispenser and in red. It looks great on our kitchen console. Very simple to use dry food dispenser. i of course use it for my two brand cereals. the setup with a lil tricky. but everything worked out in the end. i would say it should take you about 5 minutes to have this set up. i would recommend washing it first though other then that it works as described. i would also recommend using cereal that isnt too large. like for example, shredded mini wheats is on the big side, so they may jam a bit when dispensing, or even break in half. something like cheerios size is best, lucky charms, berry berry kix, etc. Wow what an amazing price on these dry food dispenser! I love that its portion control! Kids love using these! It is easy to clean! I absolutely love this food dispenser! I use it in my retro themed bar to hold candy and bubble gum. It's a hit with all ages! 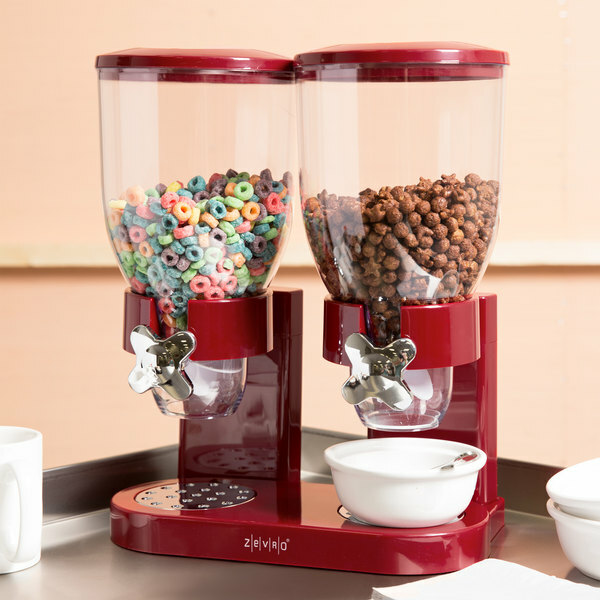 This dry food dispenser is great for dispensing dry foods, especially cereal. It keeps the food fresh for a long time and makes it a breeze to dispense my cereal in the morning. Would definitely recommend! 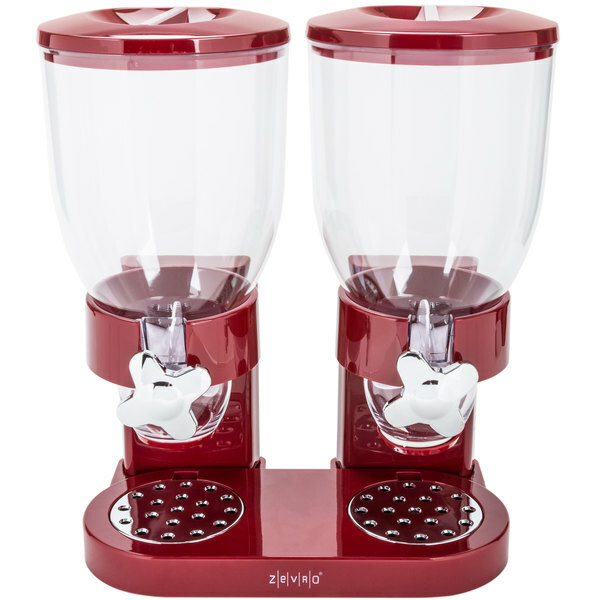 The ZEVRO Red Double Canister Dry Food Dispenser was purchased as a gift, and has received top reviews from it's recipient. It's an attractive dispenser that you can leave out on your counter. It keeps the food inside fresh, and is easy to use. The red color is gorgeous. We actually use this in our break room to hold snacks for the employees. Currently we are offering m &m's and runts. It is easily used and cleaned which makes it a perfect addition to our space. 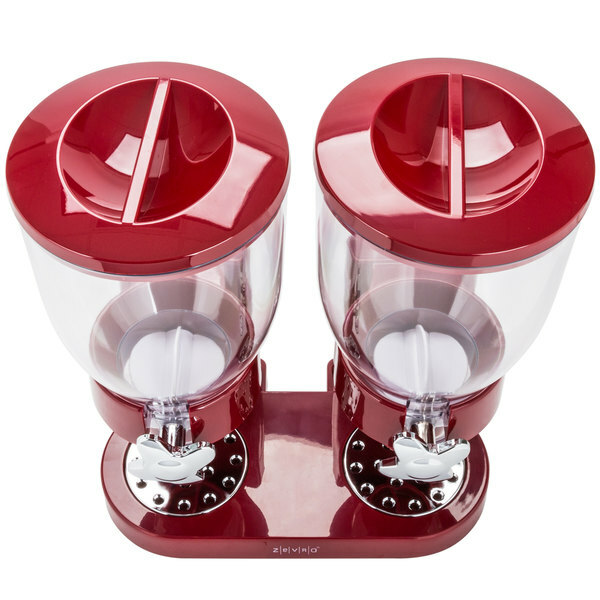 this red double canister dry food dispenser is a super great value product. works great for dry goods at our buffet line. easy to use, take down and clean. wonderful price for a great product. Very Nice,Good looking & comfortable . Also I like lower price. Service also good & shipping faster than other supplier . I recommend to buy this product. I really love this double canister dispenser. it is well made is great for home or work. Sit it on your counter and your cereal is right there. I am enjoying this food dispenser up to this day. It's easy and helps you measure out the portions you eat, especially on cereals. Cheap too! My family and I just Love these. Bought 2 sets for my kitchen and all my house guest are facinated by them, and they do look nice on my kitchen counter. Yet another Great Product! These are great cereal despensers. Especially for smaller hotel's continental breakfasts. they seal tight and keep your food nice and fresh, pretty much until it needs to be refilled again! This is a sturdy, quality made food dispenser. We use it in our bakery for cereal when we serve breakfast in the morning. It is also easy to clean, which is great because it can get dirty fast when children are around. This would also be convenient to use in a household. Kids love these things! We use these for our cereal bar and you see little kids using them all the time. They're so proud of themselves for getting their own cereal. 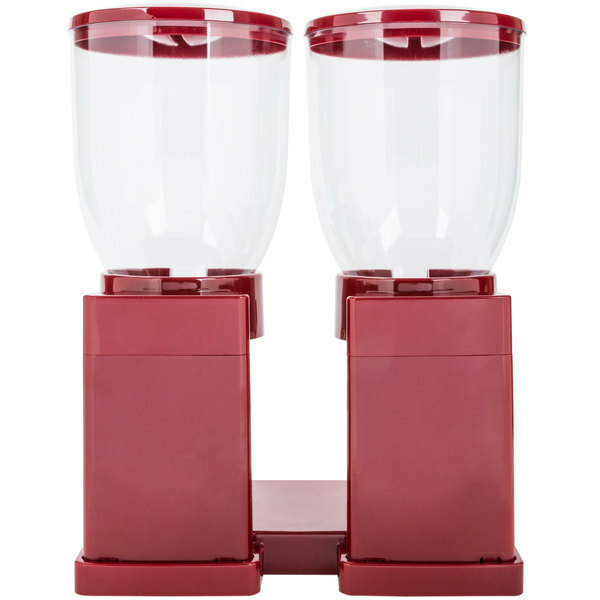 These dry food dispensers are great for dry cereal as well as holding and easily dispensing peanuts! Double canister feature is perfect for holding two varieties at once!! I love the quality and price of this dispencer.It also helps keep your two favorite cerals fresh .Easy to use kids love turning the handel to fix their own ceral. I love this product for its versatility and the fun factor for the children. 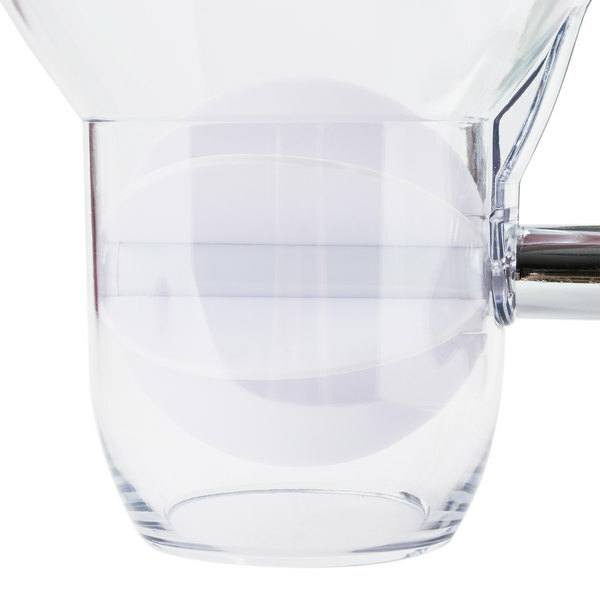 It is a fairly sturdy product that holds up well to its heavy usage. I think this is a great product for food service establishments, especially those serving children. This is a great product for kids to use. They love how fun it is to spin the handle and see their food come out. This is also great for portion control! I love this product! My kids do too!! My four year old loves that he can get up in the morning and get his own cereal with this product! I like the quality and price of this dispenser. 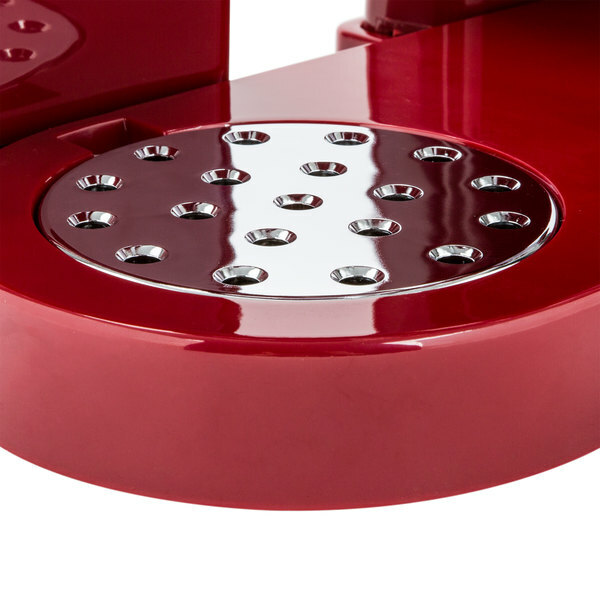 Its easy to clean and has a rubber wheel so it can dispense larger cereals without breaking them.